The great thing about Alaska is not only its wonderful scenery, but also the abundance of jobs available. 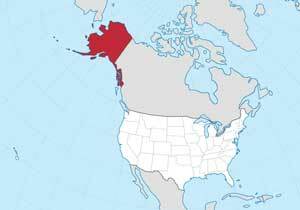 As with most states, nursing is a growing occupation in Alaska. This article will discuss how to obtain a licensed practical nurse (LPN) and registered nurse (RN) certification, as well as some of the advantages to practicing nursing in Alaska. Currently, there is only one university in Alaska that provides nursing education programs – the University of Alaska Anchorage. However, they also have institutions in 10 other cities: Fairbanks, Kodiak, Bethel, Juneau, Ketchikan, Kenai, Sitka, Homer, Kotzebue, and Mat-Su/Wasilla). Online programs and distance delivered courses are also available through the university. The University of Alaska Anchorage offers both a Bachelor of Science in Nursing and a Master of Science in Nursing. Similar to other states, LPNs operate mainly in long-term care facilities and residential settings. They have less autonomy and must always be supervised by a more certified and educated health care professional. RNs have more independence in the workplace and are granted significantly more responsibilities than LPNs. The path you choose will depend largely on the amount of time you wish to spend in school, as an LPN degree only takes 12-20 months, compared to 2-4 years for a RN associates or baccalaureate degree. After you have completed your program of studies, you need to take the NCLEX exam. To register for the exam, visit the Alaska Department of Commerce, Community, and Economic Development website. This governing body oversees all corporate, business, and professional licensing for the state. You must apply with the Alaska Board of Nursing and pass the NCLEX to become a registered nurse in Alaska. Perhaps the best thing about being a nurse in Alaska is their nursing education loan repayment program. According to the Alaska Board of Nursing, this opportunity provides up to 60% repayment of the individuals total qualifying loan balance in return for 2 years of full time employment in a critical shortage facility. If you work a third year at a critical shortage facility, this program will pay an additional 25% of the qualifying loan balance. In addition to loan repayment, the state of Alaska offers nurses excellent benefits including medical, dental, vision and life insurance. Employees are given 11 paid holidays each year, and 15 to 30 personal days per year. If you have been thinking about pursuing a nursing degree and also want to explore a new part of the country then a nursing career in Alaska may just be for you!